“The international humanitarian system has failed Syria,” says Dr. Rouba Mhaissen, CEO of Sawa for Development and Aid, a civil society organization supporting Syrian refugees in Lebanon, and the Sawa Foundation in the UK, during an interview with Al Arabiya English. Yet despite this desperate situation, she said she still felt some degree of hope as local Syrian civil society organizations were bridging the gap, working on the ground to ensure some level of stability to refugees who were fleeing the violence, the detentions, the barrel bombs, and the Russian airstrikes. 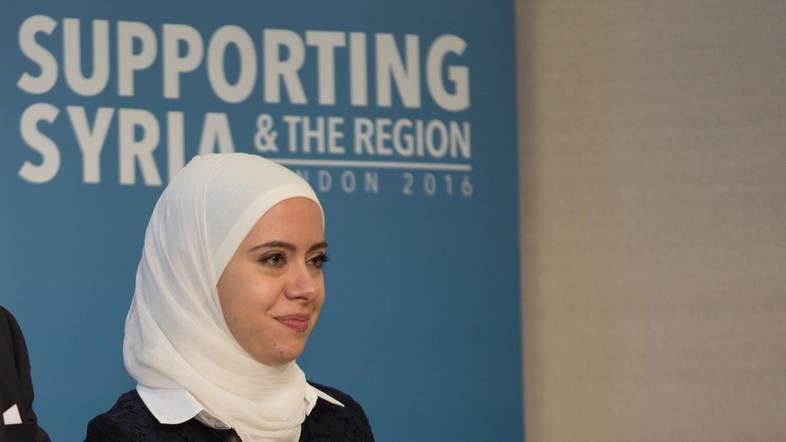 “I believe local organizations have a very big role to play and I believe a democratic and strong Syria will depend on these institutions and those young leaders,” she told Al Arabiya news. Dr. Mhaissen recently gave a speech at the ‘Supporting Syria & the Region 2016’ conference in London, on Feb. 4, where she silenced the crowd with her ‘moving’ take on the situation in Syria. In her speech, she addressed government officials on the significance of Syrian’s future participation in such conferences. She highlighted the situation on the ground inside Syria, as well as the main challenges of refugee crisis in neighboring countries, mainly pushing for the violence to stop, and for International Humanitarian Laws to be upheld and holding those who do not adhere to it accountable., and what she called the failure of world institutions to provide humanitarian aid to those fleeing the country, and the lack of aid and food entering the besieged areas. Q. Tell us about yourself. What did you study? What is your job? I grew up in Beirut, my mother is Lebanese and my father is Syrian. I used to go to Syria every weekend, summer, and vacation, so I have a big relation with the country where my father’s family live. I lived there only shortly before moving to the UK to continue my education. I have an undergraduate degree in economics from the American University Beirut (AUB), and a masters in development economics at the London School of Economics. I then did my PhD in gender and economic development at School of Oriental and African studies (SOAS). In between I was teaching at the same school, doing consultancy work, as well as running my organization, and involved in lobbying and advocacy efforts around the Syrian refugee crisis since 2011. Q. Tell us about Sawa for Development and Aid? The peaceful revolution started in Syria in March 2011. In December 2011, while in a trip in Lebanon on an academic visit, I heard about the first 40 families moved from Syria to Lebanon over the Northern border. Along with some friends, I took my car and went to the north to check it out. I was deeply saddened by what I saw. At the time, we weren’t used to ‘Syrians’ being refugees. I wrote a text message describing what I saw and what was needed. The message went viral in Lebanon through social networks, because at the time the situation in Syria wasn’t as complex, things were not as complicated as they are now. At the time everyone was willing to help. Sawa for Development and Aid was just an initiative back then. We were able to mobilize a huge network after that, starting with more than 100 volunteers. Than we mobilized the Lebanese civil society, schools, universities, businessmen, basically everyone around us. It really started out as grassroots movement to fill the gap in the beginning. For the first three years we didn’t receive any institutional funding. Our work was all backed by fundraising events around the world and private donors. We were totally independent which allowed for us to create our own developmental model, totally inspired by the needs on the ground, and not donor driven. After a few years, we figured we needed to institutionalize and it became an organization in Lebanon and recently registered in the UK as the Sawa foundation. Q. What types of projects does Sawa for Development and Aid implement? All of our projects are based on the need we identify on the ground. All of our projects are designed by the people in the camps. We are a community-led organization. More than 95 percent of our staff are from the refugee camps. No one in our community is a beneficiary, everyone in the community is a giver. In our communities we have three main streams of programs. Firstly we have relief, which covers the basic needs, such as shelter, food baskets, and hygiene kits. Secondly we have education, in which schools teach the altered Lebanese curriculum. We also have the harmonic educational program which teaches the core material through arts, sports, technology through nature, and music. This program teaches students more about Syria and to get in touch with where they came from, since many children are born in camps, we want to really get them in touch with their heritage and culture. At the same time this gets them in touch with spirituality, non-dogmatic, but with their inner self and with their environment that they’re living in, to address their traumas and psychosocial needs. Thirdly is livelihood, where we believe in a holistic approach to development. We believe that everyone in the community should be a giver. So through the livelihood program, the community serves itself, so we employ people from the community through our cash for work program to be hairdressers, to distribute the items, to build the tents, to run bakeries, to sew and knit clothing needs, to drive the buses, and teach at the schools. Everyone in Sawa is a giver, and every one is a beneficiary. Our team and volunteers are beneficiaries as they self-develop through this work, and learn from the refugees that they serve. In our community, we are all there to support one another. Q. In your article you wrote on Valentine’s day in 2014 “Syria: Of Love and War,” you explained the concept behind Valentine’s day and how society can contribute in expressing love towards the Syrian people. You ended with “how can we plant seeds of roses for the next generations?” can you explain how young people can do that? I believe that there is an exponential power to giving. I believe that every one of us has something to offer. I think what is special about Sawa is that it’s a platform, where no matter who you are, even if you don’t have a penny, you can still contribute to the cause. It’s also about ideas, support, little things that you do. So whether it’s spreading awareness where you are, sending a thought, volunteering, raising money, or helping us write a proposal, it’s pushing to win a small battle. All of this is contributing to the bigger cause. Q. You gave a speech in February at the ’Supporting Syria And The Region Conference 2016’ that went viral on social media, with many expressing admiration for how you conveyed your message. What sort of reaction did you receive at the event? How did Ban ki Moon respond to your speech? The speech I gave was an outcome of a very fruitful event in which 80 Syrian civil society organizations and overall 250 civil society organizations came together on the 3rd of February in a CSO conference. It was a very special moment because it was a moment of recalibration. All of us thought really hard about what should be done. I don’t think that my speech on the 4th will revolutionize the minds of the attendees, or change the entirety of the humanitarian system. But I believe in small battles and conveying these messages will have an impact. If anything, the next time they have an event on Syria they might actually involve more Syrians. It’s not going to happen overnight and despite the fact that the speech went viral, it’s not the first time that I have said these things. I believe change is coming, even though it is slow. In terms of reaction I received at the panel, every one present was congratulating me, and as you saw in the video, Ban ki Moon told me to be ‘patient,’ which I think the Syrians have been for the past five years. Q. Why are Syrian civil-society organizations not invited to these conferences? I think they aren’t invited because the system is inherently flawed. The system is bureaucratic, it’s always choosing the easy way out, and it’s always repeating programs that have not necessarily succeeded but have already been done other places. Involving Syrians, or any community that is directly related is going to question the humanitarian system, something that stakeholders wouldn’t necessarily want. Q. In your opinion, what are the roles of Syrian civil-society organizations in the country’s future. Has there been a qualitative difference in their work so far? How? Firstly, Syrian civil society organizations have been doing the bulk of the work, they have been filling in for failed governments and failed institutions. Civil society organizations are born out of society itself, they know the exact needs and they have been working relentlessly in filling it, sometimes at their own time and energy. I believe they have a very big role to play, and I believe a democratic and strong Syria will depend on these young leaders. I have met inspiring activists over the course of the five years, but especially at that pre-conference event. If there was one thing that really touched me at this conference, it is my ability to see hope again through the collaboration I saw happen between the civil society organizations. For once our voice was one, our demands were one, and we were working for the same aim. 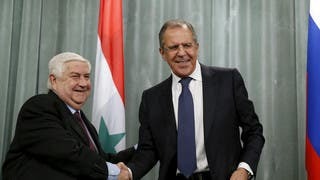 A strong united Syria in the future will be based on the work and on the shoulders of these relentless soldiers that are really working day and night to control the damage that has happened throughout the years. Many people sent me messages saying I was the first one who gave them hope. But I would like to tell them I am not the only one. Maybe they chose me to speak on that day but actually I’ve met hundreds of other activists that are doing much more than what I’m doing and who are fighting harder obstacles to do good, do impose justice, and to change people’s lives. They are the cause of great hope for Syria. Q. You have previously stressed the importance of reducing the refugee crisis. You have said ’the system has failed,’ if international organizations cannot ensure safety for refugees fleeing the country. For not providing besieged areas with humanitarian aid. Tell me in your view how the system might have failed and why you believe this happened. While the humanitarian system is there to give people their basic needs in terms of protection, food, and education, it hasn’t been fully capable of doing so in the case of Syria over the course of the years. Today, and after more than five years, we still see people dying in besieged areas because of lack of food, while the corresponding institutions are waiting for political permissions to deliver aid, something that in their raison d’etre shouldn’t have been the case. We see people with no access to health, we see school and educational facilities bombed, we see children out of schooling, and families dependent on vouchers and food baskets. The mandate of such organizations allows them to transcend political limitations, and to do a much bigger and better jobs at ‘Supporting Syrians’ to use the language of the conference, in much bigger ways than just pledging huge sums of money. Q. You are constantly around Syrian refugees, how do they feel towards the rest of the world? Are they angry? Do they think enough is being done to help? I can’t speak in the name of all refugees. In fact, I can’t speak in the name of any, as I am not one. But, from what I see, from the refugees that I meet or have the honor to be serving or working with, they are generally disappointed definitely. Five years on and the world is standing still watch the continuous extermination of the Syrian people. Today, those who I speak to tell me they now know that they can’t count on anyone, but their faith and themselves. I believe now after five years there is a general sense of tiredness. People want to go home. People don’t want to be in tents, in Europe, on boats, or in America. Europe and America are not the dream of the people, nor is any other neighboring country. People just want to go back home. Interestingly enough, it is from those same people who are experiencing desperation every day that you can take strength. If you feel disappointed or hopeless, tired all you have to do is go to one of the camps and you will see daily battles being fought for life. They have an amazing power to continue and this is a place where I take a lot of my hope from when I feel really down. 10. Many have lost hope as the Syrian conflict enters its sixth year. It’s a conflict that has left the country in political turmoil, plunging it into a serious humanitarian crisis. Q: What inspires you to keep going? Don’t you ever feel like giving up? From the people who I meet in the camps, and across Europe. The strength I see in them, the mothers who chop wood to put a table inside their tent, the parents who ask for education for their children before they ask for food, the kids who open their goodie bags to share it with us although it might be their only one in months. The children who wake up and look forward to going to school every day, and the people who talk about Syria with love in their eyes, waiting for the moment they can go back. This is what really gives me hope. Q. What do you enjoy most in what you do? I believe every person I encounter has a lot to teach me and this is what I enjoy a lot. It’s a daily learning experience. It’s a humbling experience, it makes you realize how insignificant you are towards others and towards their suffering and the battles they are fighting, and the resilience that they show. I am so honored to learn from them every day. I believe every single Syrian or anyone who has been involved with Syrians has definitely grown 50 years in the past five years both mentally and spiritually. Q. What’s your message to the world regarding Syria? The road is long, filled with obstacles, but there is definitely hope. I have a lot of faith and hope that we will survive this nightmare. In terms of solutions, if the violence ends, we don’t need any more donor conferences. The violence must stop. We need to solve the problem from its roots. Everything else is just temporary fixes. Has the world become numb to the utter brutality in Syria? Panorama: Why did Russia decid to open the southern front in Syria?